There are a number of circumstances that might have contributed to being charged with DUI in CA, but there’s little you can do to change the past. After your drunk driving arrest, it’s time to start thinking about your future and what you can do to protect your legal rights. If you’ve never been involved in trouble with the law, it’s important to understand the implications of a DUI matter and the legal proceedings you’ll be facing. It’s important to know about the relevant DUI laws, defenses, penalties and costs involved with your case. Your life may be impacted in a number of ways, from having your driver’s license suspended, to being fined, to serving time in jail. If you are facing a DUI, it’s important to know what you are facing. But where do you start? 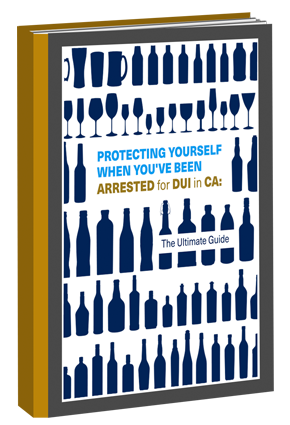 Download your copy of Protecting Yourself When You’ve Been Arrested for DUI in CA….and save yourself time, money and gain the peace of mind you need.